Where do esports fit on a traditional sports network? Fox Sports is trying to work that out, with a little help from online platform Caffeine. 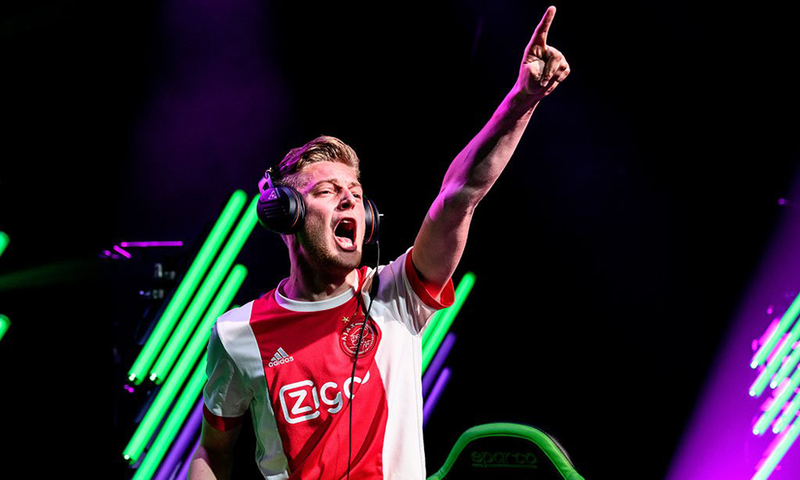 The two will co-present live broadcasts of several events in the FIFA 19 Global Series right up to the FIFA eWorld Cup. Star FIFA player Dani Hagebeuk was a featured athlete in last week’s mega esports tournament on Fox. For FIFA esports fans, this means more ways to watch. Fox Sports will carry key events on its cable channels, and Caffeine will provide online streaming. The two companies have a relationship: Fox became an investor in 2018, and the two companies have worked together on previous esports broadcasts, including Continental Cup 2018 from Paris Games Week in October (the first FIFA 19 Global Series qualifier) and a series of documentaries. The two are joining on five additional events in the FIFA19 series, two of which have already happened. The EA Sports FUT Champions Cup was held in early April; the FIFA eNations Cup, this past weekend — both taking place in London. Still to come are the playoffs for PS4 and Xbox players (both in June), then the eWorld Cup in July and August. With the area still developing, Fox and Caffeine are working together to understand how best to present esports to viewers. Do broadcast viewers want esports? Does a gifting platform like Caffeine make sense for major esports events? There’s a lot that the people behind these platforms still need to learn. Neither company creates the event feeds, which are produced by EA and FIFA. Fox Sports is presenting events on either the FS1 or FS2 cable channel, depending on the tournament and other scheduling. Caffeine is streaming the same events but in a more customizable and online-friendly way. While Fox Sports broadcasts the coverage as-is, using the production commentary, Caffeine lets U.S. fan with a microphone create their own stream and commentary, sending it out to fans and friends. Fox’s investment in Caffeine is no minor dabble: the company invested $100 million last September. As part of that investment, the two companies created a joint venture called Caffeine Studios, a separate entity that creates original material, licenses content, and works with stars and influencers. So, besides providing funding, Fox is taking an active role in highlighting Caffeine’s value proposition. In building Caffeine up, Fox Sports is trying to determine the role of esports on its broadcast platform. It first broadcast esports in March 2016 with the FIFA Interactive World Cup, and it has offered only one event since then. Esports related to traditional field sports (such as FIFA) provide a good starting point, especially since the network already has a relationship with FIFA and its World Cup rights. But that doesn’t mean Fox Sports won’t offer other types of esports later on. Franzetta is open to the idea that the audience is invested in the live competition of these games and the passion surrounding them, and that excitement could carry over to other types of online gaming. The network will explore related gaming content, such as documentaries or shorter programming. It’s too early to draw conclusions, but this FIFA series should provide some valuable feedback.